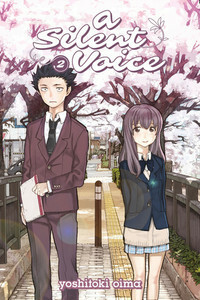 It's been five years since Shoya Ishida bullied Shoko Nishimiya so badly she left their elementary school, because of one simple difference between them: Shoya can hear, and Shoko can't. In the intervening time, Shoya's life has changed completely. Shunned by his friends, Shoya's longed for the chance to make up for his cruelty. When it finally comes, will he find the voice to tell Shoko he's changed? And will Shoko listen?